The lava spewing from the no-confidence volcano is engulfing the society where masks are falling off like mangoes on a tree in a yard of one of the managers’ home on a sugar estate. Some want to see the PNC retain in power because of ethnic loyalty. Only people power can save us! Virtually the entire Caribbean Community (CARICOM) region is in crisis, and at the heart of the crisis are dysfunctional and corrupt Governments. It has now become plain for all to see that the so-called “Westminster two party political system” that was conferred upon our Caribbean nations as they moved into Independence has turned out to be fundamentally flawed. Guyana’s President, Donald Ramotar Tuesday night (November 4, 2014), announced that general and regional elections would be held soon if the opposition refuses to deal with important national issues on the parliamentary agenda when the National Assembly resumes sittings on Monday and instead pushes ahead with its no-confidence motion. 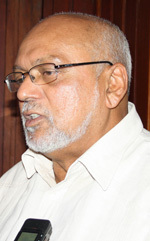 Even as Opposition Leader David Granger formally announced that A Partnership for National Unity (APNU) would be embarking on protests to pressure government into holding Local Government Elections (LGE), the Alliance For Change (AFC) said the priority should be passing the no-confidence motion to boot the Donald Ramotar administration out of office. 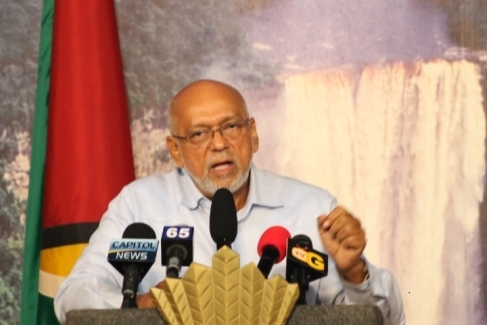 In an address to the nation that largely said nothing new but reiterated APNU’s call for the President to name a date for LGE, Granger said he had no other choice but to call protests.